The $2.5 billion deal that Microsoft Corporation (NASDAQ:MSFT) finalised today to gain the ownership of Minecraft wasn’t the reason why Markus Persson, the founder of the game has decided to leave the company. The issue was discussed by CNBC‘s Squawk Alleay team. The reasons for Persson leaving Mojang, the Swedish Company that owns the rights to the ‘sandbox’ construction game are evident from his quote that has been circulating widely on twitter according to CNBC. Microsoft Corporation (NASDAQ:MSFT)’s offer might seem generous given the company has $330 million in revenue for 2013 according to the Squawk Alley team. However, if one takes into account the popularity of the game and Microsoft Corporation (NASDAQ:MSFT)’s future plans with incorporating the company into its organizational framework it is not all a hefty price. 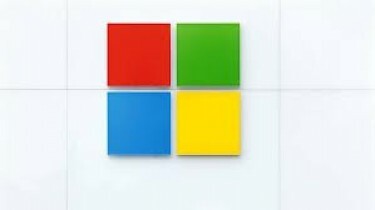 The Squawk team identified two directions where Microsoft Corporation (NASDAQ:MSFT) might be headed with its recent acquisition. Firstly, there is a possibility that Microsoft might be trying to gain the human resource capital of the company. In that case it would try to incorporate the intelligent minds of Mojang into its very own Windows ecosystem. This could result in both speeding up innovation and also improving the quality of their product. Secondly, Microsoft Corporation (NASDAQ:MSFT) might be planning to build on this virtual world possibility and turn Minecraft into an even more valuable product. The Squawk Alley team pointed out that with a 100 million downloads and being the second most paid app on iPhone, despite being released for more than three years, says a lot about Minecraft’s popularity. Even more interesting is what the future holds for this game given its acquisition by the world’s biggest software house and how much could it contribute to Microsoft Corporation (NASDAQ:MSFT)’s revenues?